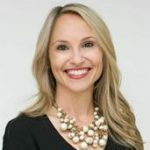 As the Founder and President of international luxury real estate auction firm Concierge Auctions (www.conciergeauctions.com), Laura Brady is responsible for leading the company and its aggressive growth. In ten years, she's driven the firm to over $2 billion in sales and placement on Inc. Magazine’s list of the fastest-growing companies in America five years in a row. Laura’s insight into the luxury real estate market has led her to be profiled by CNBC, Bloomberg, and other major media.